P. Glasserman and H. Mamaysky, working paper. Internet Appendix. P. Glasserman and L. Yang, Mathematical Finance, vol. 28, 268-305, 2018. N. Chen, P. Glasserman, B. Nouri, and M. Pelger, Review of Financial Studies, vol. 30, 3711–3758, 2017. S. Ghamami and P. Glasserman, OFR working paper, Journal of Financial Intermediation, vol. 32, 76-87, 2017. P. Glasserman and B. Nouri, Econometrica, vol. 84, 2113-2153, 2016. S. Ghamami and P. Glasserman, Management Science, to appear. P. Glasserman and H. P. Young, Journal of Economic Literature, vol. 54, 779-831, 2016. R. Neuberg, P. Glasserman, B. S. Kay and S. Rajan, OFR working paper. P. Glasserman and Q. Wu, OFR working paper, Management Science, to appear. H. Mamaysky and P. Glasserman, working paper. P. Glasserman, C. C. Moallemi, and K. Yuan, OFR working paper, Operations Research, vol. 64, 1143-1158, 2016. P. Glasserman and H. P. Young, Journal of Banking and Finance, vol. 50, 383-399, 2015. P. Glasserman, C. Kang, and W. Kang, Quantitative Finance, vol. 15, 25-41, 2015. P. Glasserman and W. Kang, Operations Research, vol. 62, 2014. P. Glasserman and X. Xu, Quantitative Finance, vol. 14, 29-58, 2014. P. Glasserman and X. Xu, Operations Research, 1-20, 2013. P. Glasserman and B. Nouri, Management Science 2012 (with typos corrected). P. Glasserman and S. Suchintabandid, SIAM Journal on Financial Mathematics, vol. 3, 137-162, 2012. P. Glasserman and Q. Wu, IJTAF vol. 14, 407-432, 2011. P. Glasserman and Z. Wang, Management Science vol. 57, 1195-1211, 2011. P. Glasserman, Mathematical Finance vol 22, 215-249, 2012. P. Glasserman and K. Kim, Finance and Stochastics 1-30, 2009. Z. Chen and P. Glasserman, Finance and Stochastics vol 12, 507-540, 2008. P. Glasserman and K. Kim, Mathematical Finance vol 20, 1-33, 2010. P. Glasserman and K. Kim, Journal of Economic Dynamics and Control, vol 33, 37-52, 2009. P. Glasserman and K. Kim, Proceedings of the Winter Simulation Conference, 569-577, 2008. P. Glasserman and Z. Liu, Operations Research, vol. 58, 1611-1623, 2010. P. Glasserman and Z. Liu, Journal of Computational Finance, vol. 14, 3-56, 2010/2011. N. Chen and P. Glasserman, Stochastic Processes and Their Applications, vol. 117, 1689-1723, 2007. P. Glasserman and S. Suchintabandid, Journal of Banking and Finance, vol. 31, 1375-1398, 2007. Z. Chen and P. Glasserman, Operations Research, vol. 56, 286-303, 2008. P. Glasserman and S. Juneja, Mathematics of Operations Research, vol. 33, 36-50, 2008. P. Glasserman, W. Kang, and P. Shahabuddin, Operations Research, vol. 56, 1200-1217, 2008. N. Chen and P. Glasserman, Finance and Stochastics, 11, 153-179, 2007. P. Glasserman, W. Kang, and P. Shahabuddin, Mathematical Finance, vol. 17, 345-379, 2007. S. Androdottir, P. Glasserman, P.W. Glynn, P. Heidelberger and S. Juneja, ACM TOMACS, vol. 17, 2007. P. Glasserman and S. G. Kou, Statistical Science, vol. 21, 286-298, 2006. M. Giles and P. Glasserman, Risk, vol. 19, 88-92, 2006. P. Glasserman and Jingyi Li, Management Science, vol 51, 1643-1656, 2005. 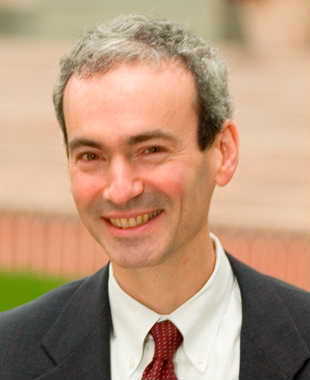 P. Glasserman, Journal of Computational Finance, vol. 9, 1-41, 2005. P. Glasserman, Journal of Derivatives, 24-42,Winter 2004. P. Glasserman and Bin Yu, Annals of Applied Probability, vol. 14, no. 4, 2090-2119, 2004. Pricing American Options by Simulation: Regression Now or Regression Later? (H. Niederreiter, ed. ), Springer, Berlin. P. Glasserman and Bin Yu, Operations Research, vol. 53, 298-312, 2005. P. Glasserman and N. Merener, Journal of Computational Finance, vol 7, 1-36, 2003. P. Glasserman and S.G. Kou, Mathematical Finance, July 2003,383-410. P. Glasserman and N. Merener, Finance and Stochastics 7, 1-27, 2003. P. Glasserman and N. Merener, Proceedings of the Royal Society of London, Series A, vol. 460, 1--17, 2003. P. Glasserman, P. Heidelberger, and P. Shahabuddin, Mathematical Finance, vol. 12, 239-270, 2002. P. Glasserman, P. Heidelberger, and P. Shahabuddin, Management Science, vol. 46, 1349-1364, 2000. P. Glasserman, P. Heidelberger, and P. Shahabuddin, in Mastering Risk: Vol 2, Financial Times-Prentice Hall, 2001. 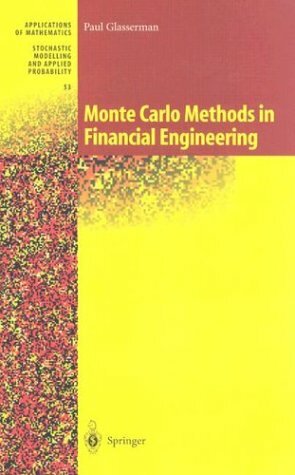 P. Glasserman, P. Heidelberger, and P. Shahabuddin, in Computational Finance 1999, Abu-Mostafa, Le Baron, Lo, and Weigend, eds., MIT Press, 2000. P. Glasserman, P. Heidelberger, and P. Shahabuddin, Proceedings of the Winter Simulation Conference, 351-359, 1999. Y. Jin and P. Glasserman, Review of Financial Studies, 14:187-214 (2001). P. Glasserman, P. Heidelberger, and P. Shahabuddin, Journal of Derivatives, 7(1):32-50, 1999. P. Glasserman, P. Heidelberger, and P. Shahabuddin, Mathematical Finance, 9:117-152, 1999. P. Glasserman and X. Zhao, Finance and Stochastics 4:35-68 2000. P. Glasserman and H. Wang, Advances in Applied Probability, 32:540-563, 2001. P. Glasserman and X. Zhao, Journal of Computational Finance, 3:5-39, 1999. P. Glasserman and J. Staum, Operations Research, 49:923-937, 2001. P. Glasserman and J. Staum, Operations Research, vol. 51, 908-921, 2003. P. Glasserman and J. Staum, Proceedings of the Winter Simulation Conference, 318-325, 2001. M. Broadie and P. Glasserman, Journal of Computational Finance, vol. 7, 35-72, 2004. M. Broadie, P. Glasserman, and Z. Ha, in Probabilistic Constrained Optimization, S.P. Uryasev, ed., 32-50, 2000. M. Broadie, P. Glasserman, S.G. Kou, Mathematical Finance 7:325-348, 1997. M. Broadie, P. Glasserman, S.G. Kou, Finance and Stochastics 3:55-82, 1999.